Just finished reading the most amazing book, The Lost Painting by Jonathan Harr which chronicles the quest of several individuals to discover Caravaggio's lost painting "The Taking of Christ." I could not put this book down. I read it completely in a day. This book was fantastic for so many reasons which I'll get to in just a second. 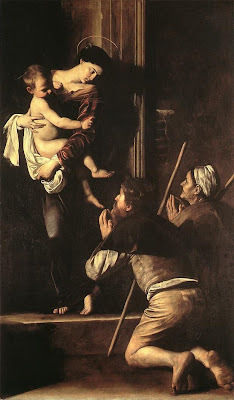 But, first, I have to talk about Caravaggio, who is probably one of the most originally unusual artists. The story of Caravaggio, not just his life, but the history of Caravaggio is one of the greatest stories in art history. I should preface this by saying that I am not an art historian. I've never "studied" art. I read a biography titled, M, 3-4 years ago about Caravaggio and became fascinated, as I often do with things. 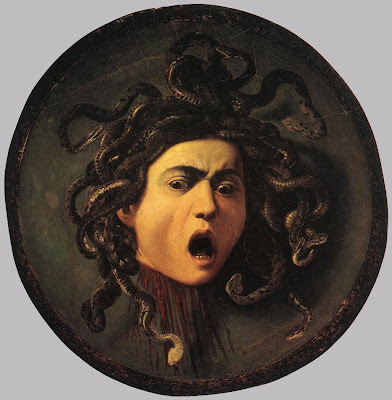 I guess I'm attracted to beauty and Caravaggio's paintings are some of the most exquisitely beautiful works of art ever. I tend to also be attracted at times to bizarre or unconventional beauty or stories. 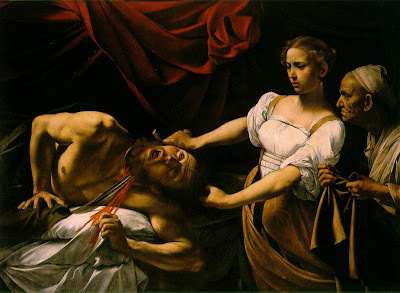 Oft times Caravaggio's paintings are gruesome or unsettling. And his life story, or what little we know of it, was very unconventional. After all, he was a murderer and was thought to be crazy. 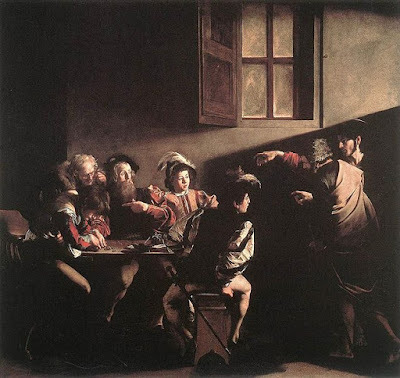 For me, Caravaggio's paintings are beautiful because of his use of light. His paintings are often almost photographic in quality when it comes to the use of light. And the subject of Harr's book, "The Taking of Christ," (1602) perhaps illustrates Caravaggio's genius about as well as any of his paintings. See! Caravaggio studied light the way Davinci studied human anatomy (among other things). I'm going to refer to Caravaggio as "M" for the rest of the post for brevity. M's paintings were also shockingly different at the time because he painted scenes with a dedication to reality not an idealized fantasy. He used prostitutes to portray the Virgin Mary. One "model" was a very successful courtesan in Rome (I am fascinated with courtesans in history....see my previous blog here: http://markgsmusings.blogspot.com/2009/06/dangerous-beauty-1998-movie-about.html). He could be gruesome....his paintings of beheadings left nothing at all to the imagination. But all of his paintings were quite realistic which I think was the appeal that he had for other painters. Before M, painters represented their subjects in the most idealized way. He was a brutally and intensely honest painter which I think is what makes his work so exceptionally beautiful. In The Lost Painting, you'll learn that M was also a maverick and rebel because, unlike his predecessors and contemporaries, he did not do studies of his paintings before. He would create a work of art and edit it as he went along, rather than creating several "models" before. Another curious thing I learned in the book was that artists of the time didn't sign their works. So these "edits" if you will are the only signatures really to determine if a painting was actually done by M.
And at left you see "Judith Beheading Holofernes" (c1598-1599). Pretty realistic, no? I wonder how many heads M had to cut off to perfect this technique. He lived in Rome from about 1600-1606 but after murdering a man with whom he'd played tennis (I don't know who won or lost the match but I believe the feud was about a bet), he fled and lived on the run in a number of Italian cities for the remainder of his life. In Rome, he became very successful and was "the most famous painter in Rome." He started out dirt poor but eventually won the patronage of very rich and powerful Vatican cardinals and wealthy Roman families. Recent books have theorized that M was "gay". He was frequently involved in altercations and street fights (one altercation had M throwing plates at a waiter in a restaurant). The exact circumstances of his death are sketchy but it has been suggested that he was murdered by any number of the people he had managed to piss off during his short lifetime. In the 1920's M was "discovered" and since that time his image and presence on the planet has been restored and has created an even more fascinating story. Which brings us, finally, to The Lost Painting. This book is written in a "reportage" style, but feels sometimes like a "thriller" novel. It is very spare but you just get so caught up in the subjects and their stories and their independent Quests, that it is riveting. It was reminiscent of Capote's (who is another one of my reading obsessions), In Cold Blood, albeit with a less chilling subject matter, but the same journalistic style of narration that also feels like a novel. The book was written by Jonathan Harr who years ago had written a magazine article about the discovery of "The Taking of Christ." In his afterword, Harr explains that he had always had the intention of developing the article into a book. It took quite a while primarily because the author (and this was fascinating to me) decided that the only way he could effectively write such a book would be to learn Italian so that he could successfully interview the stories' major characters. Now that is commitment to excellence, in my opinion. I don't want to spoil too much of the story because everyone who reads this blog MUST go read the book immediately. It is just too much fun, too great of a read to miss. 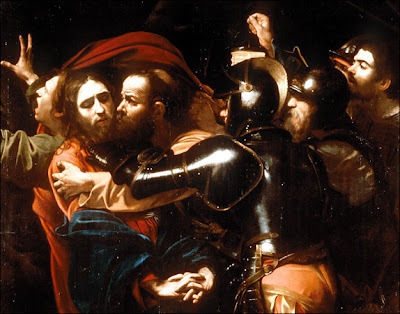 "The Taking of Christ" "disappeared" and several Caravaggio art historians/scholars, some whom you'll meet in the book (principally Sir Denis Mahon, the greatest living expert on Caravaggio), had always had a passion to discover it. But there are three main sections of the book with three different "protaganists", if you will. The first, and perhaps most interesting, are two University of Rome graduate students, Francesca Cappelletti and Laura Testa, who inadvertently end up discovering all sorts of landmark facts regarding the missing painting. Their "quest" made me regret that I am not an historian by profession myself. Their detective work is some of the best aspects of the book. The second "protaganist" is an art restorer named Sergio Benedetti, an Italian who works for the National Gallery of Ireland, Dublin. This story is equally compelling but perhaps adds another ingredient in this books potent mix of diverse themes. This is a darker story which illuminates the machinations of the art world even more acutely. The denouemont assembles all of our various characters together in 1999 (who have been questing throughout the '90s), only to be followed by an interesting "twist", a continuation of the story in the 21st century and a third protaganist who only intensifies the Caravaggio legend and mystery, as far as I'm concerned. This book is just a brilliant and wonderful mixture of intrigue, eccentric characters of the art world, travelogue, dastardly egos, ruthless ambition, detective/mystery work, devotion and dedication to passions, a once-powerful/wealthy noble Italian family, to name just a few. 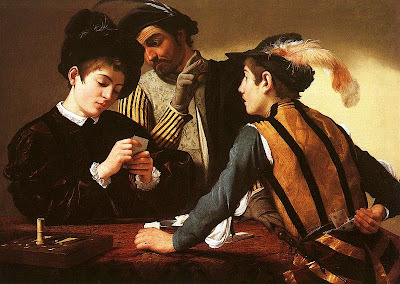 It also is a wonderful introduction not only to Caravaggio but the art world and art history, in general. It also features one of my favorite places in the world, Rome! I mean it....I could not put it down until I finished it (262 pages). 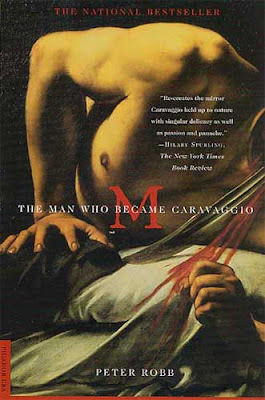 Go read the book and then go read more about Caravaggio and see all of his amazing genius. 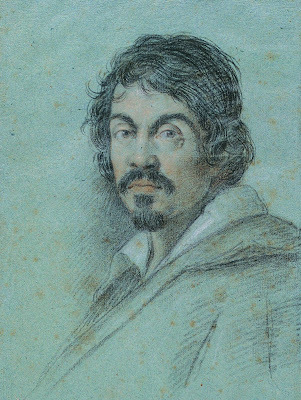 "It is this empathy for the passions of these scholars and artisans, Harr's respect for their dedication and his keen understanding of their workaday worlds - he clearly spent a lot of time with his subjects - that elevates The Lost Painting into something more provocative than just your average missing-Caravaggio narrative. A good thing, too, since the timing and circumstances of the discovery of "The Taking of Christ" deflate much of the book's suspense; halfway through, it's all over but the backfilling. Fortunately, the hunt for the canvas is a bit of a MacGuffin; the deeper mystery is the nature of capital-A art itself." A couple of other thoughts.....the painting "The Taking of Christ" includes a self portrait of Caravaggio. He can be seen in the painting holding the lantern. The painting portrays Judas' kiss of Christ (I don't have a clue what this means) and the Roman soldiers who are coming to take Christ I assume to his crucification. 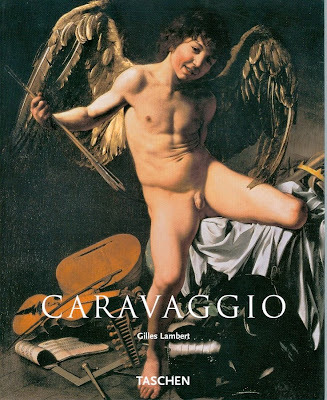 I used the following two books over the last few years of my intermittent fascination with Caravaggio and I recommend one or both, although I recognize there may be far more eminent papers for a true budding scholar of M.
Caravaggio by Gilles Lambert. Published by Taschen (originally 2000 and reprinted in 2004). 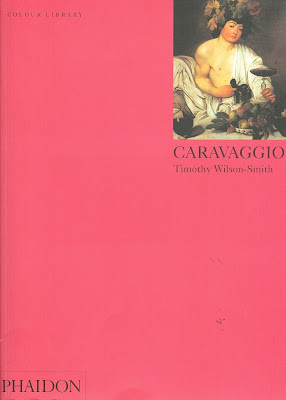 Caravaggio by Timothy Wilson-Smith. Published by Phaidon (reprint 2005).